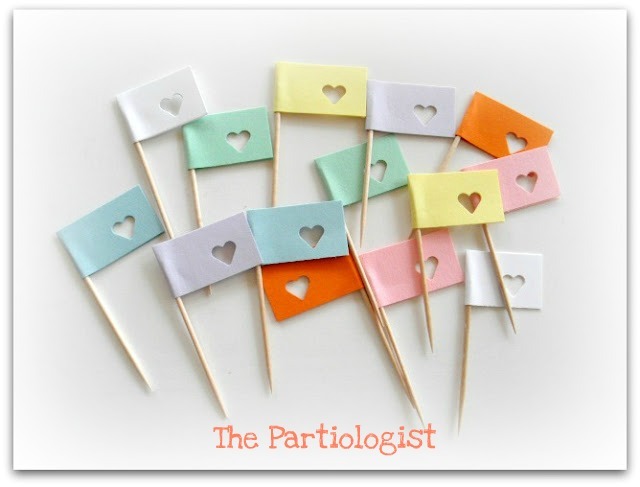 The Partiologist: Conversation Heart Party - Menu & More! 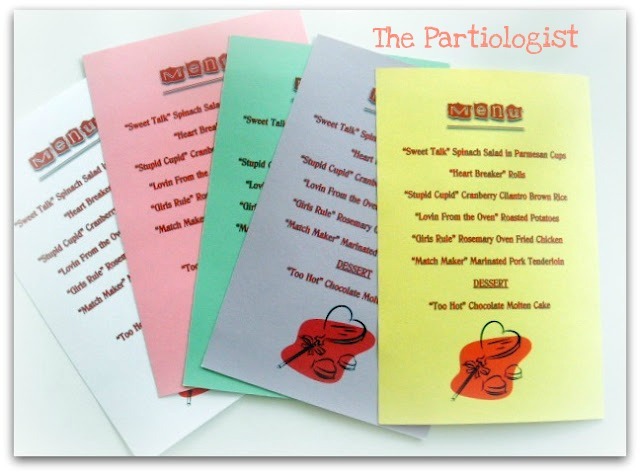 Conversation Heart Party - Menu & More! I hope you're still hanging with me on this party and I'm not overwhelming you. Maybe I'll slow down after Valentine's Day and give you a break. After printing and cutting, I rolled them up and tied with twine. And sealed them with REAL sealing wax. When I was a kid and heard the song about sealing wax, I thought it meant ceiling wax and wondered what the heck was that? 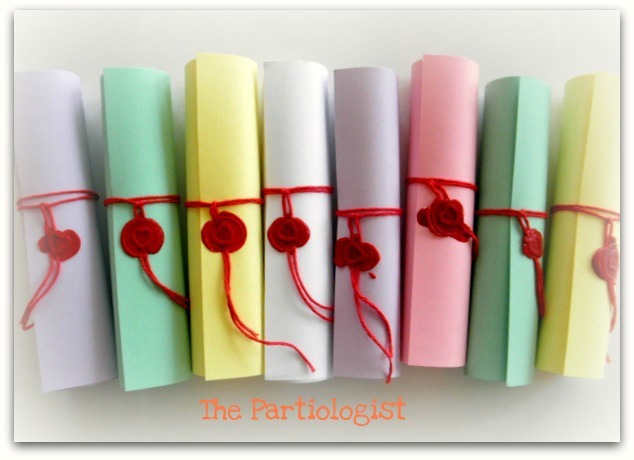 Next I made little party pics out of leftover paper from the Invitations. Folded the paper, used my little heart punch and glued them around toothpicks. 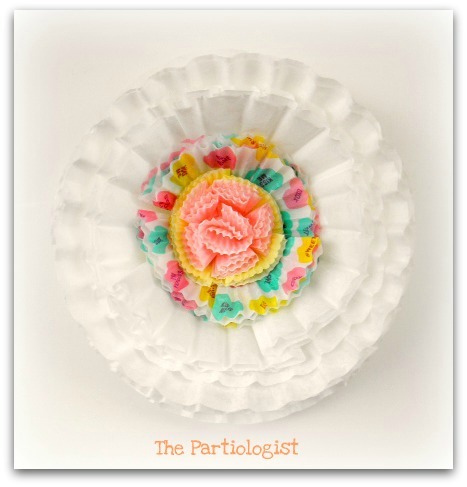 And a cupcake wrapper flower! you have such fun party ideas, how do you keep them all straight???? I use clear storage bins for each party! That way I can see what's inside without opening. You have conversation heart central here, and I love it! Classic Valentine's day treat! Great ideas! Thanks for sharing, love the conversation heart theme! I think you're extremely "bright" to come up with all of these ideas! !